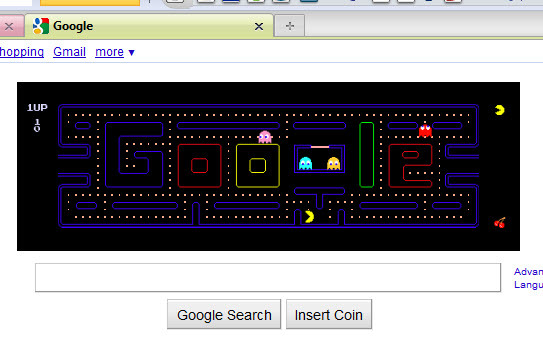 Google is celebrating PAC-MAN’s 30th birthday by showing an actual PAC-MAN game with their logo as the maze you drive your PAC-MAN around. Let it load up and if you have sound, you’ll know when it starts. To move your PAC-MAN around, use your arrow keys. Brings back such fond memories standing around playing this game for hours.